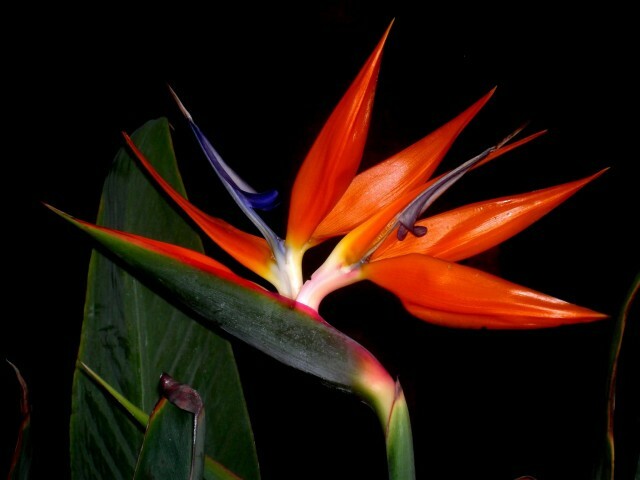 Birds of Paradise also known as Crane flowers is one of the most beautiful Exotic Flowers. 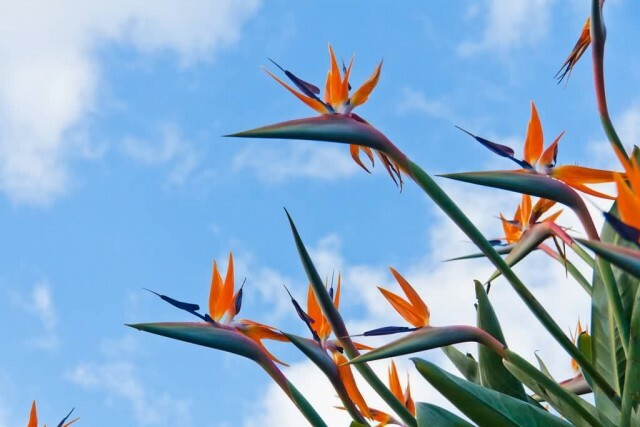 Birds of Paradise are native to South Africa but naturalized in Mexico, Belize, Bangladesh, Madeira Islands and Juan Fernandez Islands off the coast of Chile. The plant grows to 2 m tall with large and strong leaves. The leaves are evergreen and arranged in two ranks, making a fan-shaped crown. 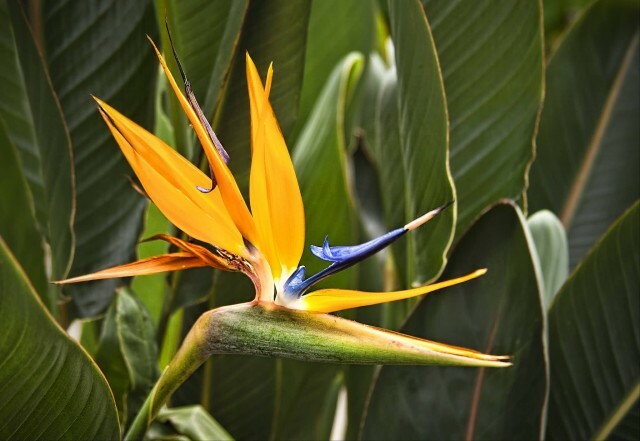 The flowers of the Birds of Paradise resemble a brightly colored bird in flight and so the name Birds of Paradise. These flowers are growing well in warm climate. Birds of Paradise bloom in the winter and early spring.